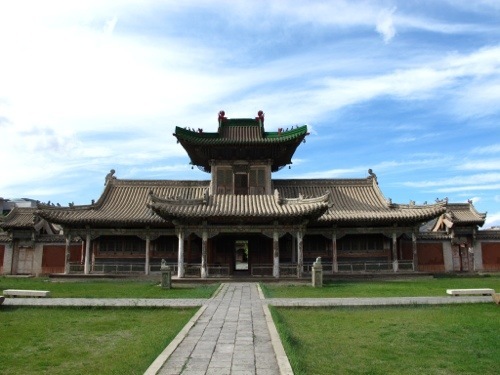 On our first full day in Ulaan Bataar, we visited the Winter Palace Complex of the last Monggol King. 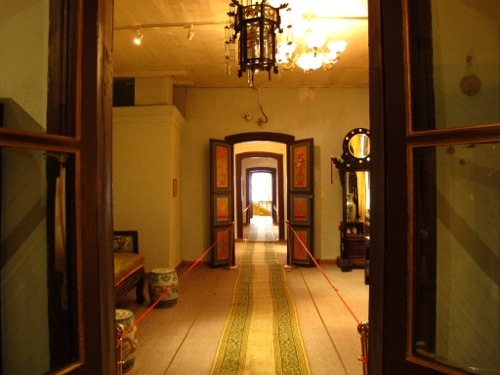 The Palace itself was built in 1893, looking more Russian than Chinese nor Mongolian nor Buddhist. 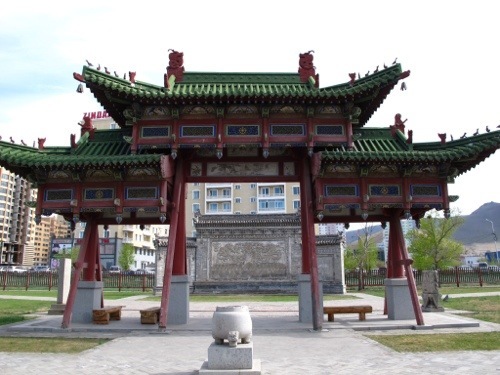 Around it though are temples in the style of Chinese pagodas complete with “Spirit Shields”, a standard feature of Buddhist temples in Mongolia. 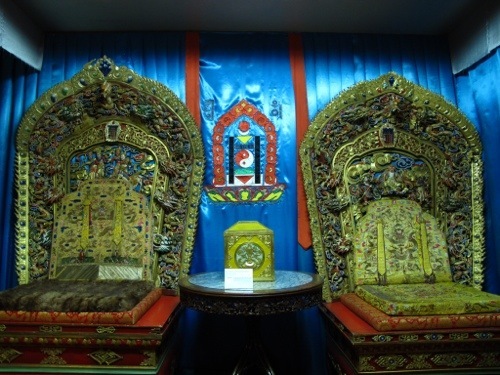 The king assumed the title Bogd Khaan in 1921 when the Chinese were expelled from Mongolia, and ruled as religious leader along the likes of the Dalai Lamas of Tibet. But not for long. 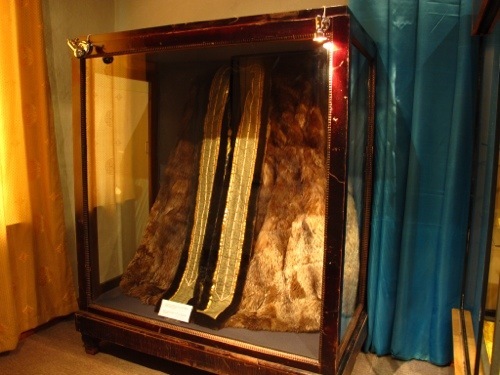 The last Bogd Gegen died in 1924 and soon after, many of his personal possessions were auctioned off by the next ruler of communist Mongolia. 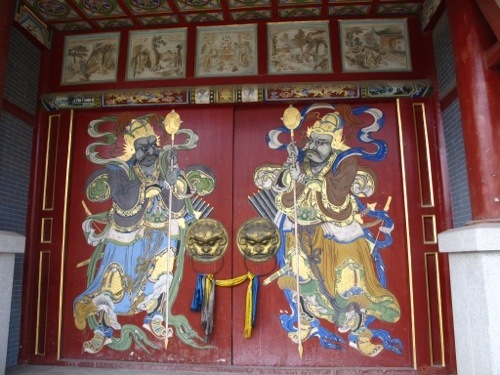 There are several temples and gates around the Winter Palace. From here, one can walk towards the Zaisan Hill to view the Memorial Shrine honoring Russian soldiers. 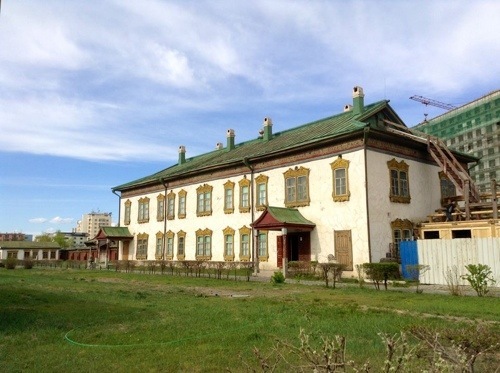 The two-story wood-framed Winter Palace — home to the 8th and last Mongol king and his consort Dondogdulam for 20 winters — was then turned into a Museum. 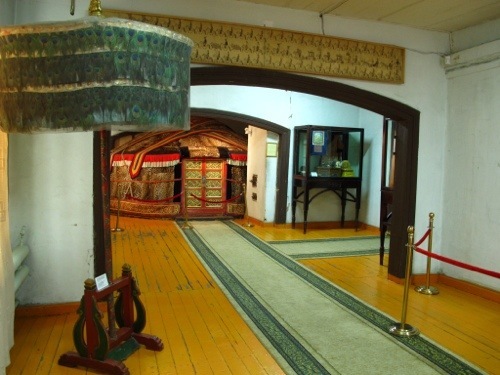 On display are the royal chambers, the elaborately decorated thrones, and a plethora of art and cultural relics as well as gifts to the Mongolian kings since the time of Zanabazar from all over the world. 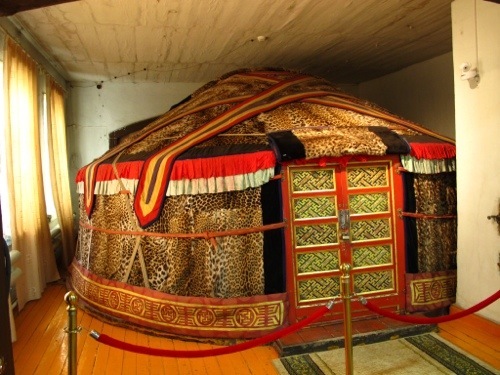 One such gift was an incredible “ger” (a circular tent used by Mongolian nomads) covered with the skins of 150 snow leopards given on the occasion of the Bogd Khaan’s 25th birthday in 1893. Imagine that – 150 leopards! Yes, that elusive animal…. snow leopards. All 150 of them. Do I hear environmentalists howling? 150 Snow Leopards to keep you warm? Whoa! They could have found a bigger space to put this on display. How I wish this incredible gift is displayed in a bigger space, rather than cramped in this corner. One can’t even take a photo of the entire ger, nor go around it. The birthday gift is from a certain Sangilig Dorj, a man from the old Setsen Aimag (somewhere east of the capital). Who’s this guy? Must be someone who needs some favors big time then. 150 snow leopards? Quite a monumental effort, don’t you think? 80 foxes’ fur on your back? 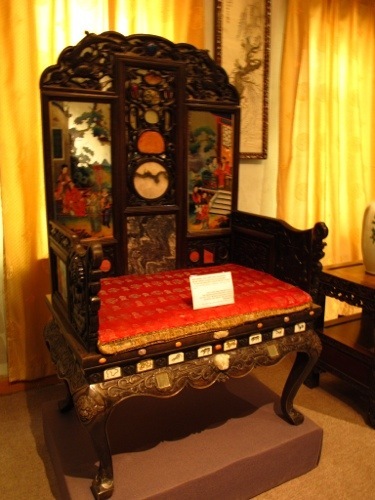 A royal throne — gift from a Chinese emperor in Beijing. Must have been transported on the back of a camel for that lonnnng walk over desert sands. A typical Buddhist (or Chinese?) gate. Don’t you think this Winter Palace looks Russian than Mongolian, Chinese or Buddhist? Well, it was built by a Russian architect. So there……..
Well….. Those were the times. I hear Mongolia runs tours to see snow leopards in their habitat. Not for me. Winter time, I’d likely find it a chore walking around draped in thick winter clothes. And should one of them elusive leopards decide to attack, I’d be dead meat as running would be next to impossible in such wardrobe. That said, I’m content visiting Museums. There are no heaters here but walking around here with our coats on our backs is certainly more comfortable than searching for elusive animals in the wilds where one can literally see their “breaths”. A pair of royal thrones to take care of those royal posteriors. Quite an interesting Museum, really. Sayang, noh? The ger looks really impressive. « All My Bags Are Packed …….. Off To Mongolia!